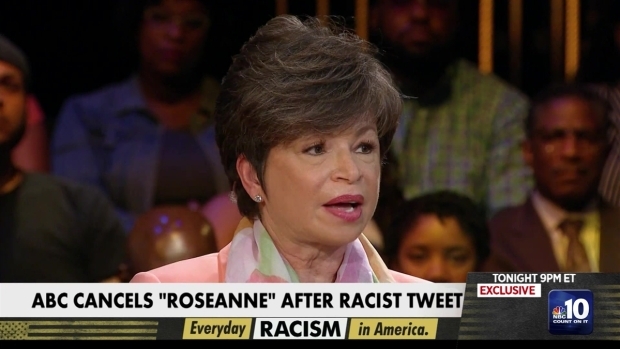 Actress Sara Gilbert said Barr's comments are "abhorrent and do not reflect the beliefs of our cast and crew or anyone associated with our show"
Cast members were "incredibly sad" after news broke that ABC had canceled its hit reboot of “Roseanne” following star Roseanne Barr's racist tweet about former Obama adviser Valerie Jarrett. "This is incredibly sad and difficult for all of us, as we've created a show that we believe in, are proud, and that audiences love - one that is separate and apart from the opinions and words of one cast member" Sara Gilbert, who plays Darlene Conner, wrote on Twitter Tuesday. ABC Entertainment President Channing Dungey announced Tuesday afternoon the show would be canceled and called Barr's comment "abhorrent, repugnant and inconsistent with our values." Cast member Emma Kenney applauded the move. In a tweet, Kenney, who plays the daughter of Gilbert's character, wrote that as she called her manager to say that she was quitting the show over Barr's tweets, she found out the show was canceled. "I feel so empowered by @iamwandasykes, Channing Dungey and those at ABC standing up against abuse of power and lack of values. Bullies do not win. Ever," Kenney wrote. She posted another tweet saying she was "hurt, embarrassed, and disappointed." Ton of respect for Bob Iger. Tough decision with financial consequences for his company but right for America....umm..now don't bug Bob but maybe someone else find out if I'm still banned from all of @ABCNetwork for calling Roseanne Barr out first on her racist conspiracy tweets? Before ABC's announcement, comic Wanda Sykes, who is a consulting producer on "Roseanne," tweeted Tuesday that she would not be returning to the show. Gilbert also condemned the tweet, saying the comments "are abhorrent and do not reflect the beliefs of our cast and crew or anyone associated with our show. I am disappointed in her actions to say the least." Barr apologized hours earlier for suggesting that former White House adviser Valerie Jarrett was a product of the Muslim Brotherhood and the "Planet of the Apes." Jarrett, who is African-American, advised Barack and Michelle Obama. The fact-checking site Snopes has in the past debunked false claims about Jarrett's heritage and a so-called Muslim agenda. Jarrett, who currently serves on the board of Ariel Capital Management Holdings and is a senior adviser to the Obama Foundation, told MSNBC that she thinks "we have to turn it into a teaching moment." "I’m fine. I’m worried about all the people out there who don’t have a circle of friends and followers who come right to their defense," she said. "The person who is walking down the street minding their own business and they see somebody cling to their purse or want to cross the street or every black parent I know who has a boy who has to sit down and have a conversation -- 'the talk' as we call it." Longtime friend and former "Roseanne" regular, actress Sandra Bernhard, called Barr's tweet "incredibly racist" on her Sirius show "Sandyland" Tuesday afternoon. "I gotta be honest with you, kinda hitting a wall with this,” Bernhard added. Actor Tom Arnold, who was married to Barr from 1990 to 1994, said he had a "ton of respect" for Bob Iger, chairman and CEO of The Walt Disney Company. "Tough decision with financial consequences for his company but right for America," his tweet read. "Umm..now don't bug Bob but maybe someone else find out if I'm still banned from all of @ABCNetwork for calling Roseanne Barr out first on her racist conspiracy tweets?" 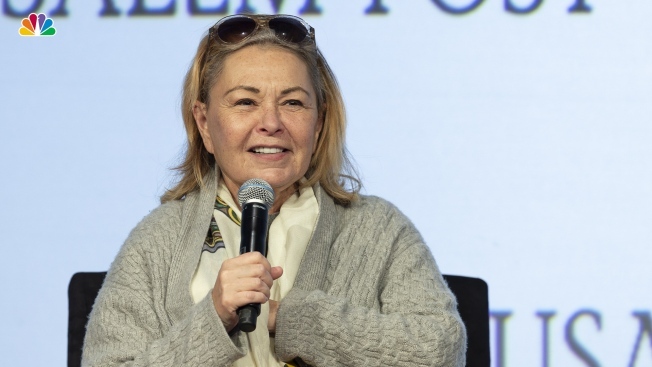 "Roseanne" debuted in March with an estimated 18.4 million tuning in more than two decades after it ended its first run from 1988 to 1997. Barr's character in the ABC reboot is a Trump supporter. The president called the actress to congratulate her on the high ratings her comedy received. Producer and screenwriter Shonda Rhimes applauded ABC for its decision: "But honestly she got what she deserved. As I tell my 4 year old, one makes a choice with one’s actions. Roseanne made a choice. A racist one. ABC made a choice. A human one." Rev. Al Sharpton, while speaking on MSNBC, applauded ABC for its decision, saying he was "pleasantly surprised" to learn of the show's cancellation. "I think it is an important thing that we do not normalize this kind of blatant racism," he said. "We’re in an age where we’re getting far too comfortable with racism and Islamophobia, both of which was in this tweet. And I think when you look at the fact that Disney is not only supposedly a family friendly network and business that owns ABC." Sharpton hosts a weekend show on MSNBC. NBCUniversal is the parent company to both MSNBC and this station.